- U.S. net farm income forecast to stabilize in 2017 after declining in the prior 3 years. - Slightly more than half of U.S. farms are very small, with annual farm sales under $10,000; the households operating these farms typically rely on off-farm sources for the majority of their household income. - Median household income and income from farming increase with farm size; the typical household operating the largest commercial farms earned $365,069 in 2016, and most of that came from farming. - 3% of farms account for 45 % of the value of production. Farms (less than $350,000 in GCFI) account for 90 percent of all U.S. farms. Large-scale family farms ($1 million or more in GCFI) account for about 3 percent of farms but 45 percent of the value of production. - Family farms (where the majority of the business is owned by the operator and individuals related to the operator) of various types together accounted for nearly 99 percent of U.S. farms in 2016. - There's less farmers... but larger farms. After peaking at 6.8 million farms in 1935, the number of U.S. farms fell sharply until leveling off in the early 1970s. Falling farm numbers during this period reflected growing productivity in agriculture and increased non-farm employment opportunities. Because the amount of farmland did not decrease as much as the number of farms, the remaining farms have more acreage, on average—about 440 acres in 2016 versus 155 acres in 1935. About 2.06 million farms are currently in operation. - The number of acres in Agricultural Districts has grown from 164,380 acres to 196,164 acres; a 19% growth over the last 8 years. In the last 15 years the value of the agricultural products sold has increased 58%. Crops sales have grown by $5 million during the same time frame. It is important to note that more than 40% of our farmland is not owned by farmers, but is leased (free or low cost) to farmers, making it possible to sustain our strong agricultural foundation. Dutchess County’s top commodities by acre are hay, beef cattle, horses, and corn. Top commodities by sales value are horses, grains, hay, nursery/greenhouse, and vegetables/fruit. There are approximately 2,200 full time jobs on 678 farms in Dutchess County. In addition, there are more than double that, at least 4,400 jobs relating to our agricultural infrastructures (not including grocery stores or food distribution chains) which are of critical importance to the farms and the local economy. Agriculture and agricultural lands in parts of Dutchess County costs $0.17 for every $1.00 paid in taxes for community services; compared to a house which requires $1.23 in services for every $1.00 paid in taxes for community services. About 23% of New York State's land area, or 7 million acres, is farmland. There are nearly 36,000 family farms producing some of the world’s best food. Agriculture is a major driver of the New York State economy and the State ranks high among the major agricultural states in the nation, ranking in the Top 10 in 30 commodities. It is the second largest producer of apples and maple syrup, second in cabbage and snap beans, third in grapes, grape juice and wine, and fourth in pears and dairy, which is the largest segment of the agricultural sector. More than half of all farmers in the US are older than 55. This means most of the industries participants are thinking about retirement, not innovation. As the majority of farmers retire in the next 20 years, statically their aren't enough people to replace them so whats gonna happen? The human element of farming will soon become something of the past. There is simply not enough people interested in filling the shoes of their farming forefathers. This and other issues surrounding the inefficiency of farming is a perfect situation for technological implications. Things like precision farming, (getting the most out of one acre through programming methods) genomics (the science of breeding highly productive crops) and robots, (self functioning machinery) will happily make up the work once done by people, and frankly might do a better job. Precision-farm engineer Manuela Zude-Sasse at the Leibniz Institute of Agricultural Engineering and Bio-economy in Potsdam, Germany, is attaching sensors to apples to detect their size, and levels of the pigments, chlorophyll and anthocyanin. The data is fed into an algorithm to calculate the developmental stage and when the time is ripe for picking, growers are alerted by smartphone. In the United Kingdom, there is now a robot that can harvest strawberries faster than humans. It relies on stereoscopic vision with RGB cameras to capture depth, and with it's powerful algorithms, allow it to pick a strawberry every two seconds. 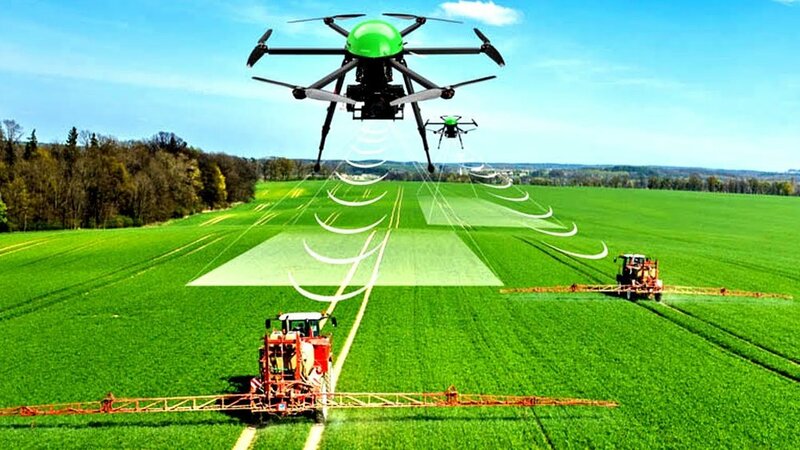 “There is the potential for intelligent robots to change the economic model of farming so that it becomes feasible to be a small producer again,” says robotics engineer George Kantor at Carnegie Mellon University in Pittsburgh, Pennsylvania. It is fair to predict that eventually all large farms will adopt these technologies as they have done with other industrialized innovations. In regards to the quote from the robotics engineer and his hope that this innovation will help the underdog, one must take into account why people start small farms in the first place and how their ideologically might make this is less likely. Small farmers want to be closer to earth, hands on, not closer to their phone. To have an entire farm run through robots would make these farmers more like computer scientists than farmers. With that in mind, the small farmers that do adopt and invest in these technologies, will have a huge competitive advantage over their peers. It will be our goal as an entity, to find the most tech-savvy approaches and individuals to help us gain that competitive advantage. As much as we like getting dirty with the earth, we like the idea of being cutting and ahead of the compitition that much more. The vast majority of farmers are aging out and there are not enough young people interested in replacing them. 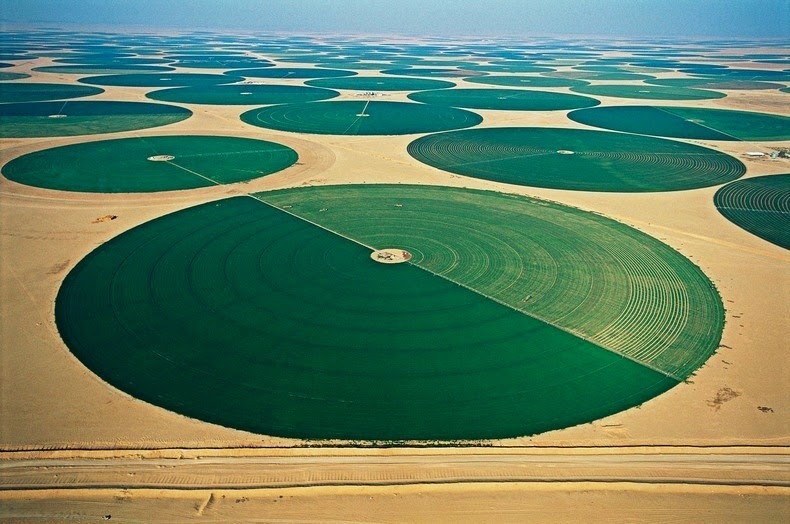 Technology will fill this gap and farms will become more like factories. . Technological improvements will either help expand farming or limit who can afford to participate in it. Interpretation: To survive as a farm in the future, large or small, technological innovations must be adopted.